Private 4 Bedroom Home on 10 Acres! (3D TOUR!) 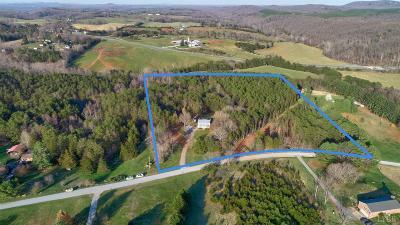 Located with easy access to Liberty University, you will LOVE this fabulous 4 bedroom home on 10 acres. Private lot with cleared level area for family and fun. Quiet area. Rocking chair front porch. Relaxing back deck that is perfect for cooking out with friends and playing games. Spacious open kitchen with LOTS of cabinet and counter space. Newer appliances. New floors. New windows. Roof is less than 5 years old. Energy efficient 2-zone heat pump was installed NEW in December 2018. Main level boasts large family room with fireplace, separate office (or potential 5th bedroom!) large eat-in kitchen, convenient main level laundry room, and main level half-bath. Upstairs you will enjoy 4 comfortable bedrooms, 2 full bathrooms, lots of natural light and more. Bonus features are the full, unfinished walk-out basement, extra storage shed, and overall, with 10 ACRES you will not find a better VALUE for the money this close to Liberty University.